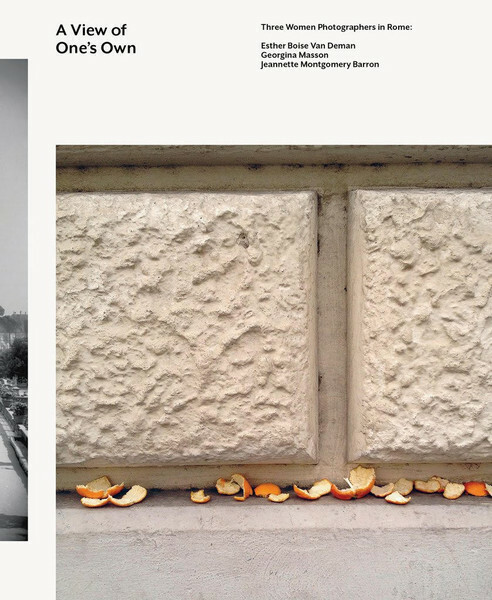 Catalog for exhibition A View of One's Own - Three Women Photographers in Rome: Esther Van Deman, Georgina Masson, Jeannette Montgomery Barron. This exhibition, drawn in part from the holdings of the Photographic Archive of the American Academy in Rome, features a selection of photographs by foreign women in Rome from three successive generations. Their work confronts aspects of the Eternal City and its urban transformation over more than a century, from the Belle Époque to the present day. This exhibition was curated by Lindsay Harris, Peter Benson Miller, and Angela Piga.